Besides a few pops during the intro to Equilibrium, this is probably the highest quality record we own, given most endured a flood recently. Couldn't ask for more! I loved the sneak peek tracks, but the album in its entirety is an exceptional and multidirectional treat. I play this vinyl every day. Much love Mike! I, unfortunately, became ill and had to leave at the set break when you were last in Houston and visited with the crowd. It would be an honor to win a chance to hit record shops with you! Packaging was great, shipped on time as expected, and of course the album sounded superb! This album is so good. It's so different. It's sooooo Mike. Excellent album. Cool lookin purple colored vinyl record. Worth it. Mike Gordon Band's new album is completely breakthrough. I intend to use album as the sign post of post-history. Nothing that came before it can be compared to it and everything that happens after this will be different. This album is the catalyst to abandon the historical thought stream. Give up! Very nice album from Mike. The 1st side all the way through is great. 5 songs on the album are really catchy winners. And the rest are no slouches either! 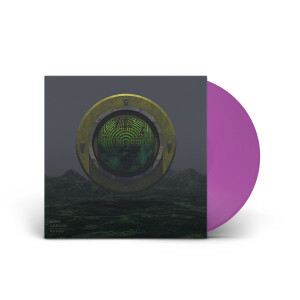 Glad to have pre ordered this Beauty of an LP!